Scientists have just made an extraordinary discovery near the surface of the moon, finding something that had been lost long ago. Scientists at NASA have just used a fascinating new radar technique to make a big discovery near the moon: they found a tiny probe launched by India that went missing eight years ago and is now endlessly circling the moon. 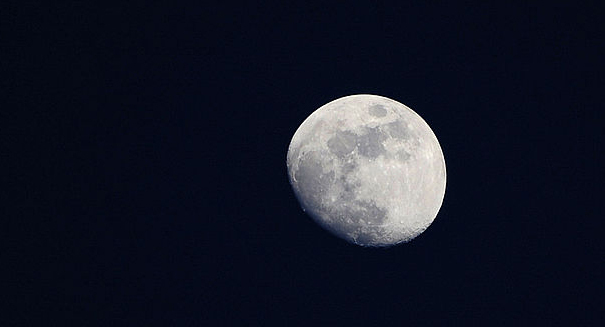 Chandrayaan-1 is just five feet on each side and is half the size of a small car, but scientists were able to spot it circling the moon with a remarkable new radar method. While scientists had used interplanetary radar to spot asteroid millions of miles from Earth, they didn’t think it could possibly spot something as small as Chandrayaan-1 near an object as far away as the moon. However, it turns out this radar technique is remarkably accurate. They were able to track down Chandrayaan-1 because they knew it was in polar orbit around the moon, and was therefore always crossing above the lunar poles on every orbit. So the research team pointed to a location about 100 miles above the moon’s north pole, and were able to spot it crossing the beam of the radar.